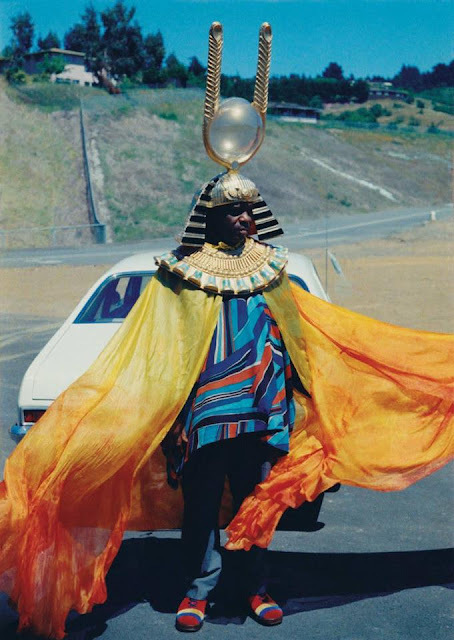 Sun Ra Arkestra and BEARCAT will take the stage to close out our Second Annual Press Play Fair. BEARCAT is a London-born, Philadelphia-based artist. She has performed all over the world, including Egypt, Paris, Lyon, Berlin, Leipzig, Barcelona, Mexico City, Oakland, and Chicago. She has worked as a DJ/producer, audio engineer, and professional make-up artist since 2005. BEARCAT provided creative direction for live events and festivals such as Afropunk, Glastonbury, Reading and Lovebox, among others. She has also DJed sets for musicians including 21 Savage, CupcakKe, and Caleborate. She draws from deeply personal experiences and Diaspora roots, and isn’t afraid to delve deep. Her sets are emotive musical selections as a form of therapy. Her ear guides her into creating bass-heavy uncompromising, powerful mixes that harness a symbiotic energy between the music and the crowd to generate the perfect soundtrack to any event. 2017 was a year of astounding new heights. BEARCAT performed at the Guggenheim, Wiener Festwochen in Vienna, Bloomberg Summer Picnic, 29Rooms, Performa 17 Biennial. BEARCAT’s archive of work and sets can be found at bearcat.digital.